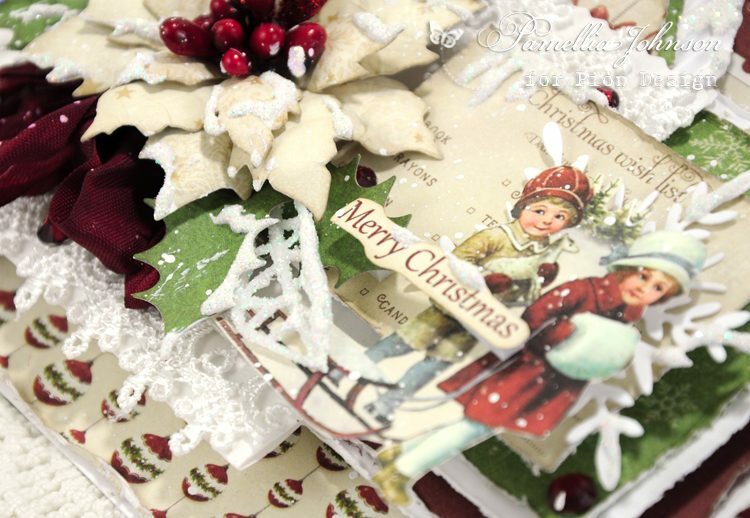 With this card from Pamellia, we at Pion Design wish all of you a joyous Christmas holiday! One last card before Christmas and I saved my favourite for last. 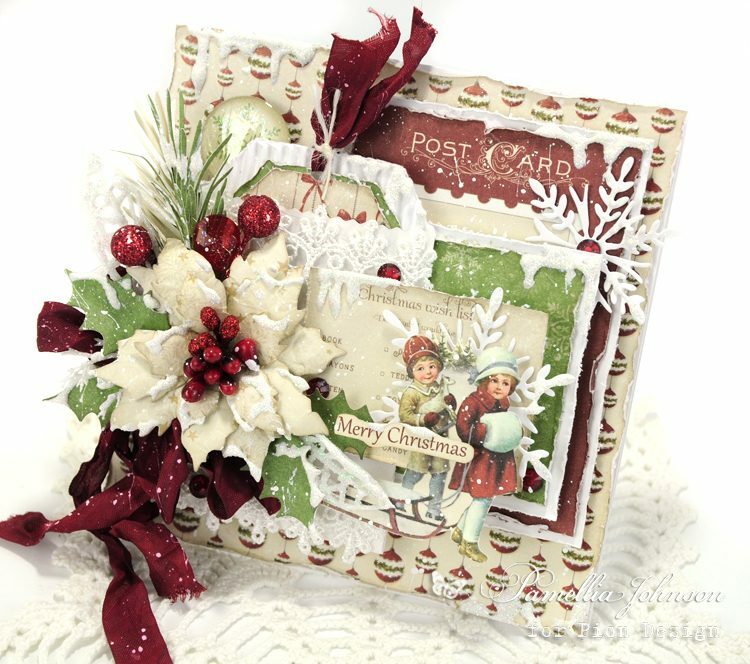 This card features the Pion Design collection “The Night Before Christmas”. 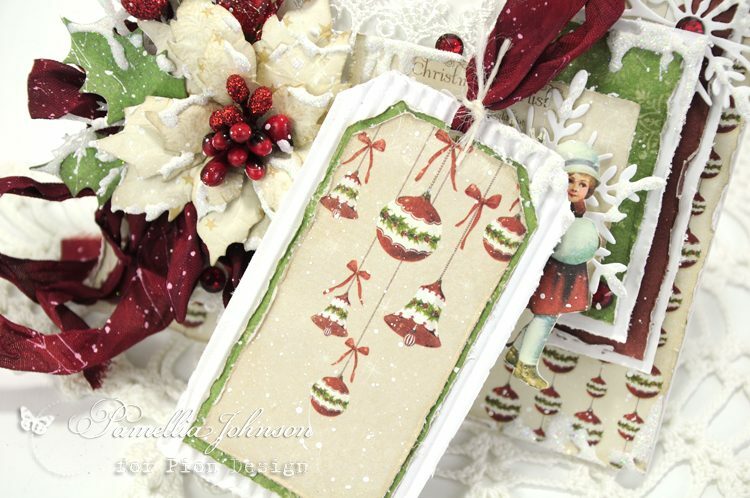 I just love how fun these papers are, but yet still vintage and traditional, all at the same time!! I would like to say Thank You to each of you for all of your wonderful comments this year. I wish all of you, and my fellow Pion Design Team Members a Very Merry Christmas! !